Listing courtesy of Elisea A Albertson, Vanguard Properties. Newly built Modern Farmhouse in a truly magical park-like setting. Just 2 miles from the Healdsburg Plaza. Perched at the top of a hill with breathtaking views, this property offers a 4100 square foot home, a 56′ pool, a pool shed with kitchen and bathroom and vast outdoor entertaining areas on 1.66 acres. The home features gourmet kitchen, reclaimed barn-wood ceilings, wine room and 4 bedrooms. Sliding doors offer seamless indoor/outdoor living. Please, send me more information on this property: MLS# 21831267 – $4,250,000 – 905 Valley View Drive, Healdsburg, CA 95448. 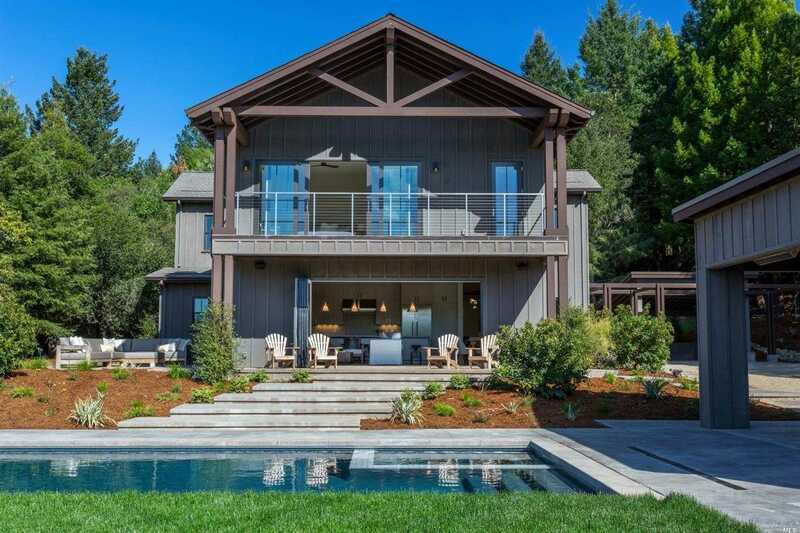 I would like to schedule a showing appointment for this property: MLS# 21831267 – $4,250,000 – 905 Valley View Drive, Healdsburg, CA 95448.